I knew the sun was setting when I left the restaurant tonight to drive home. But I couldn't see it for all the buildings in the way. 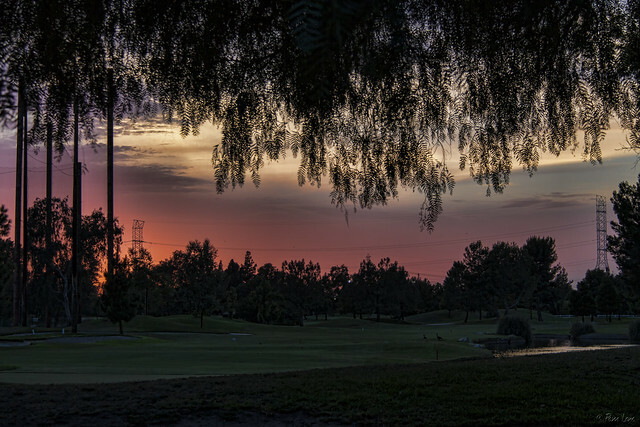 So I hurried as fast as I could to the Rio Hondo Golf Course parking lot, and was rewarded with this view of the setting sun causing a glow in our coastal cloud cover. "Never waste any amount of time doing anything important when there is a sunset outside that you should be sitting under."